I’d never been to Chester races and had heard mixed reports of the experience. Living near a direct train line (80 minutes) this was easily remedied and I’m surprised that I’d not been before given the number of bets I’ve had on the racing here over the years. The first day of the May festival was my chosen date. I could have gone any of the three days but I achieved a reduced price deal on a ticket for the Wednesday. There are numerous price options but the “best” of these - where one does not have to wear a jacket, collar and tie and can choose to wear jeans is Tattersalls. The Chester races website was offering a two-for-one deal in this enclosure for bookings made by the end March. What I soon realised was that the half-price deal also worked for a single ticket purchase. So my ticket cost £17.50 (rather than the face value of £35). On top of this was a booking fee of £2.50. The cost for posting out a ticket was an exploitative £5.00 so I went for the (free) collection option. You will all know that the track is the oldest in Britain and is adjacent to the city walls. It’s about a 20-minute walk from the station, straight through the town. I stopped for some liquid refreshment along the way at the Cellar - despite its name a street level bar. It does have a basement bar however which stages live music at the weekends. It’s been CAMRA’s (local) pub of the year for the last couple of years. Interesting bar snacks: for example scotch eggs made with black pudding and/or traditional pork pies both served with pickles and relish. These were just £3 each. I collected my entrance ticket without a hitch and made my way into Tattersalls. The weather was grim – occasionally both wet and windy. The first thing I noticed was that there was nowhere to sit and the viewing was rubbish. Basically all you can see of the track is the home straight, under three furlongs of the one mile circuit. For the rest of the race you have to follow it on the big screens. It was no better next door in the County Stand where you could pay extra to sit down in your suit and see no more than the Tattersalls’ punters. Earlier in the day I’d had a multiple bet on six of the seven races focusing on low-drawn runners. Everyone knows the effect of the draw here – not surprising given the contours of the track. Unfortunately low-drawn horses are often over bet as a result. The day started well with my two choices in the first finishing 1-2 (with 11/4 taken about the 2/1 winner) and the AOB banker obliging in the next @ 2/1 (returned 6/4). 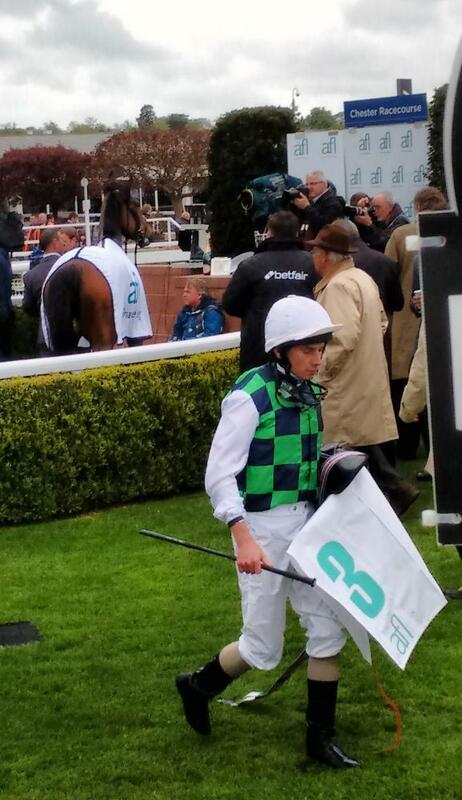 The latter – Diamondsandrubies - scooted in by six lengths and is third favourite for the Oaks as I write. Things started to go pear-shaped with the feature race the Chester Cup over two-and-a-quarter miles. Here I was on the horses drawn two and three – yes, there is a historical draw advantage over this long distance too. My selections ran well finishing a creditable fourth and fifth in the 17-runner field. Tattersalls provides you with access to the centre of the course including the paddock. You access this via an underground tunnel. In this tunnel you will encounter two young girls dressed like cinema usherettes selling drugs: cigarettes and cigars. Tote win dividend (not available on track) = £11.40. Of course there will be odd occasions when the RP beats the tote dividend (small fields usually) but by definition it will NEVER beat the SP. Who knows how the straight forecast is calculated but this too will always be less than the SP version as it is SP related. For the feature race the dividends were: Exacta (tote) £45.30; SP £45.80; ChesterBET £41.40. As you can see the latter is roughly 90% of the SP dividend. One of the purposes of an on-course tote operation is to provide meaningful competition to the on-course bookmakers. Clearly there is no fair competition with ChesterBET because it will always pay dividends that are less than the bookmakers’ SP. Although most ChesterBET field books are likely to indicate a profit which ever horse wins, it surely can’t be right that a racecourse would prefer the victory of one horse over another because of the projected betting profits. If you are visiting Chester races my advice is to stay away from ChesterBET. Either bet with the bookmakers on-course or preferably have your bets beforehand. 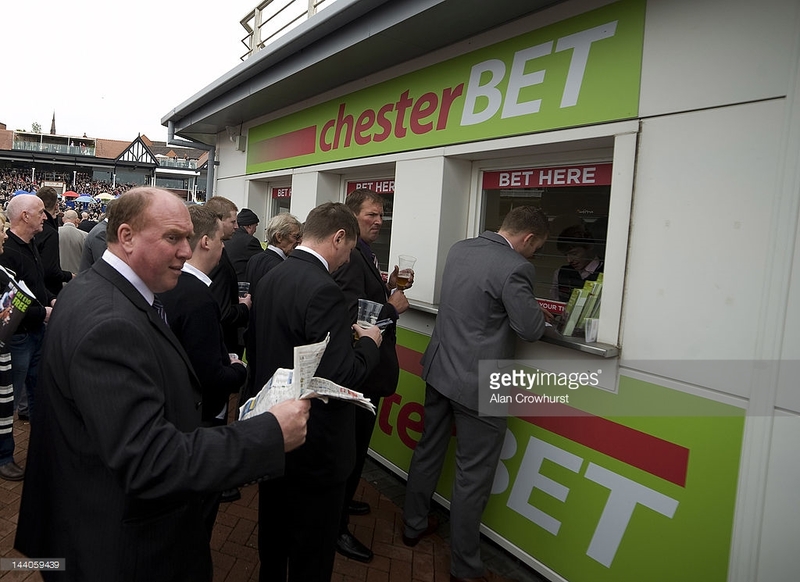 Any bookmaker offering BOG on the internet (best odds guaranteed – either the price you’ve taken or SP whichever is biggest) will ALWAYS provide you with better returns than ChesterBET. Back to the racing. The fourth race was the one I was really looking forward to over the frantic five furlongs. I’d played Come On Dave at 11/2 in the morning and was encouraged by the support into 4/1 joint-favourite at the track. However he went off like a scalded cat and was about six lengths clear two furlongs out. As I was counting my winnings he faded quickly and couldn't even finish in the frame. No interest in the next where the 1/6 chance was beaten and in the sixth my 9/4 about the 5/4 favourite Normal Equilibrium proved to be a very good value loser. I decided to call it a day after this and walked back in the direction of the station. I stopped at the Old Harkers Arms an attractive pub converted from a former Victorian canal side warehouse. This was a very pleasant establishment. No background music (at least while I was there) was a bonus. I had a delicious pint of Lemon Dream from the Salopian Brewery (which is located just outside Shrewsbury). I can’t see myself going racing here again. It’s generally poor value for money and has severely restricted viewing. Plus the horrible ChesterBET does not encourage me to support an organisation that rips off its customers.